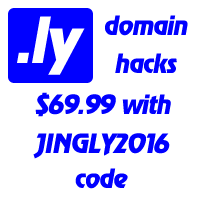 Guys and girls at Name.ly work hard to perfect the code and the services offered. Some of the work we do we give away as free open source plugins for WordPress. This is our philosophy of sharing the fun with other people and hoping they can save time we spent on developing cool stuff. Why would another person need to waste another sleepless night redeveloping the wheel?